During plasmapheresis approximately four liters of blood, which represents 90-100 % of circulating blood goes through membrane filter. Plasma exfusion volume is 700 ml. After one procedure, concentration of narcotics in body is significantly reduced. At the same time narcotics of all chemical groups are excreted from the blood. During the procedure we see positive changes in patient`s condition. Pains in legs, bones and spine are passing, pressure is stabilized, muscles are relaxed, patients practically always fall asleep, pupils are no longer expanding, pulse and breathing are getting normalized. After finished procedure, patient`s appetite, strength and mood are improved. Long term use of psychoactive substances causes body tolerance and resistance to the effects of these substances. Tolerance means that it is necessary to increase the dosage constantly and resistance that medicaments or narcotics don’t have the effect at all. One of the symptoms is sleeping disorder. Narcotics and stress cause sleeping disorder and addicts start taking medicaments for sleep. But after some time medicaments stop working and addicts start using higher dosage or start taking new medicines, but the quality of sleep is still bad. 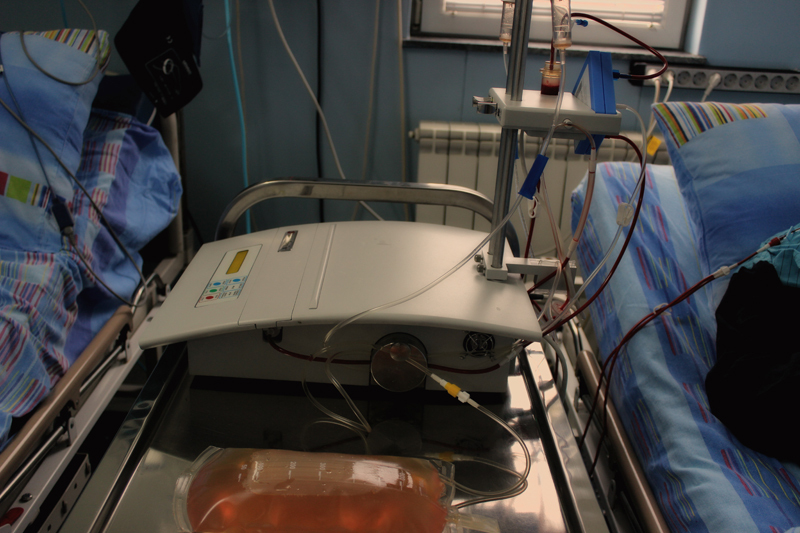 Plasmapheresis eliminates both tolerance and resistance. 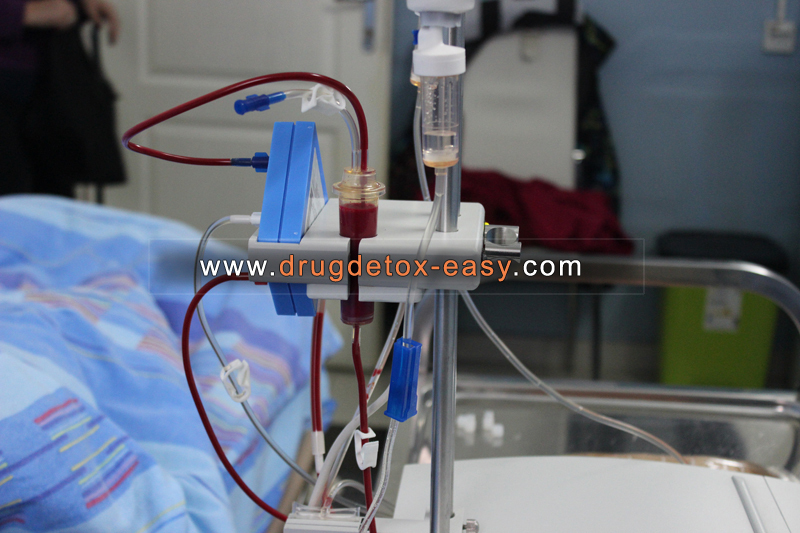 Plasmapheresis is used in treatment of sepsis, chronic infections, autoimmune diseases. It significantly improves blood circulation, regeneration of damaged blood vessels and organs. It is easier to heal wounds, thrombus dissolve faster. Plasmapheresis can be done for healthy people, for example sportsmen. 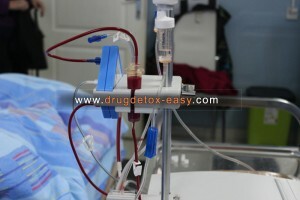 After course of steroids, plasmapheresis protects the body from its negative effects, complicates their detection, and stimulates muscle growth. Plasmapheresis can help in gaining better sports results and improvement of physical condition. Contraindications: severe body deficiency of proteins, generalized active infections, coagulation disorder.